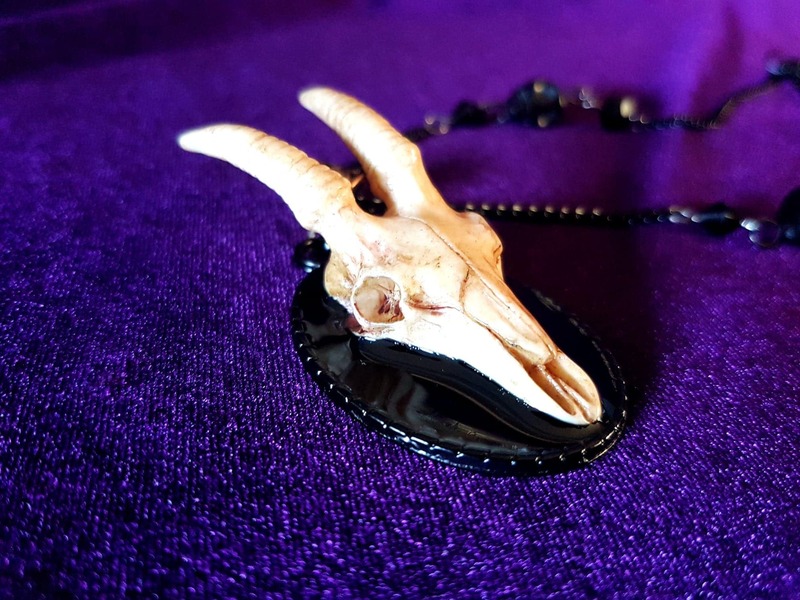 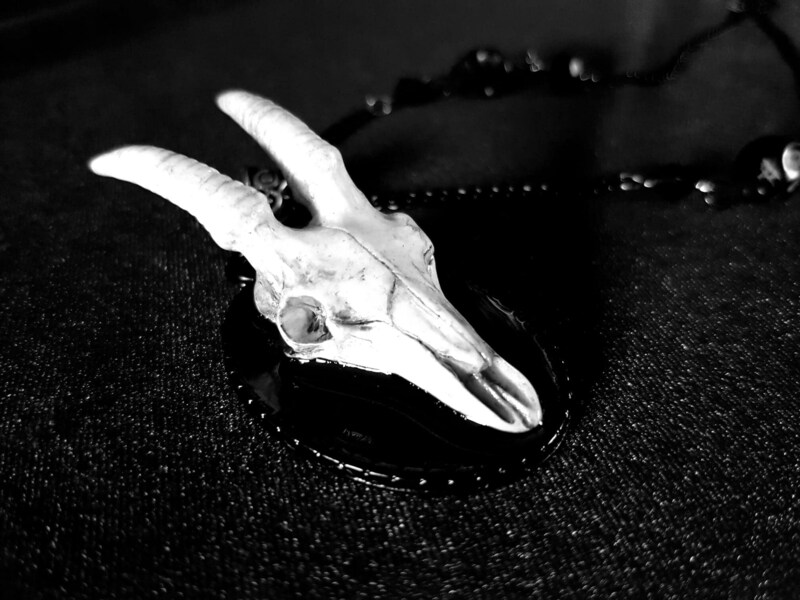 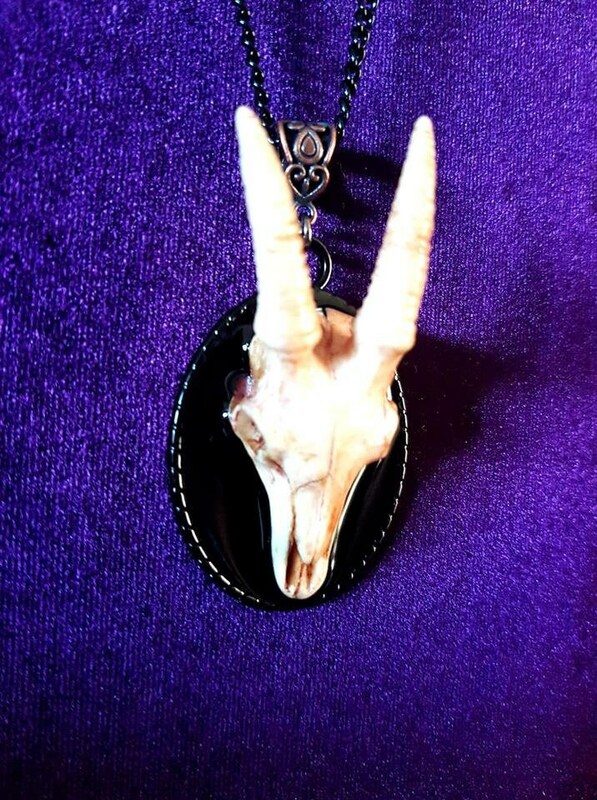 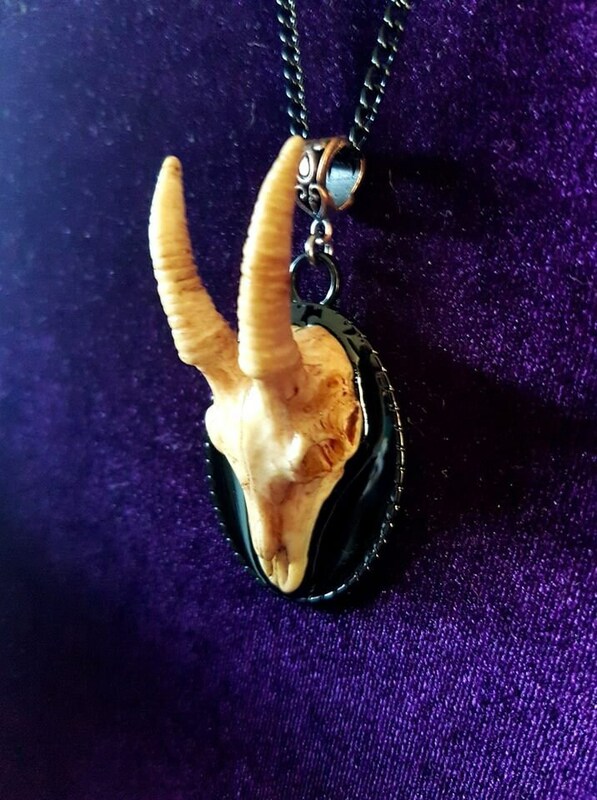 Small Goat skull replica made out of resin. 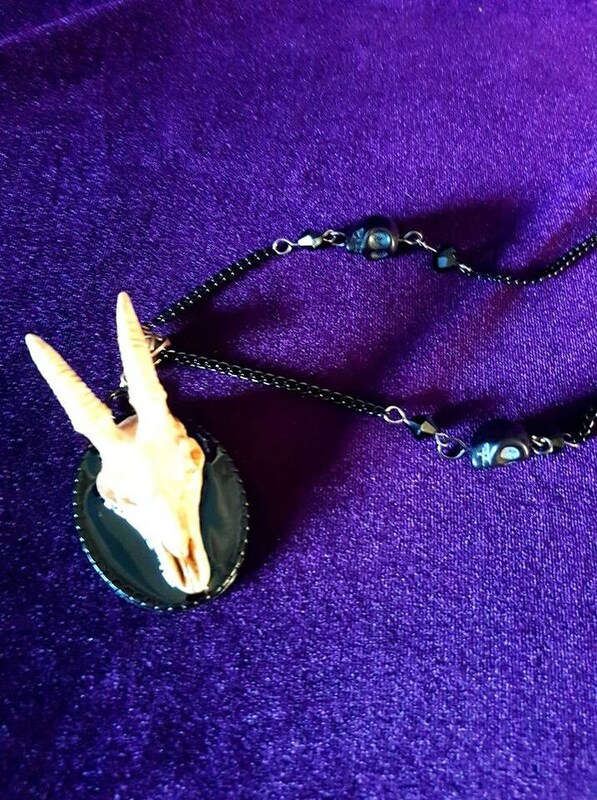 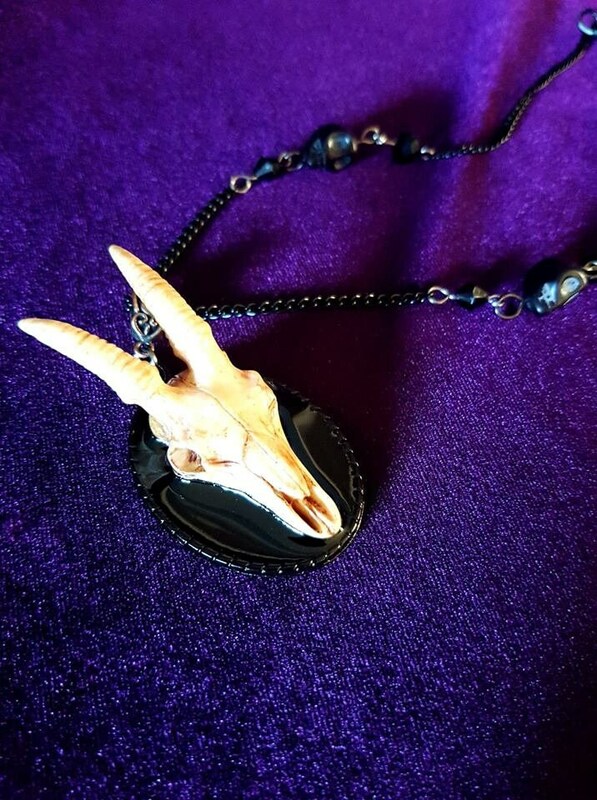 Attached to a black resin cameo. 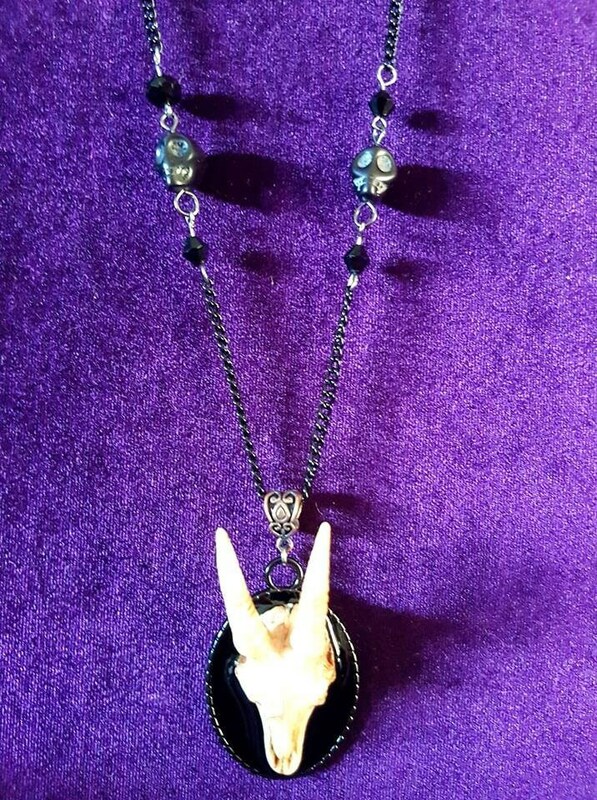 - 42cm long chain with 5 cm extension chain to adjust to your size. 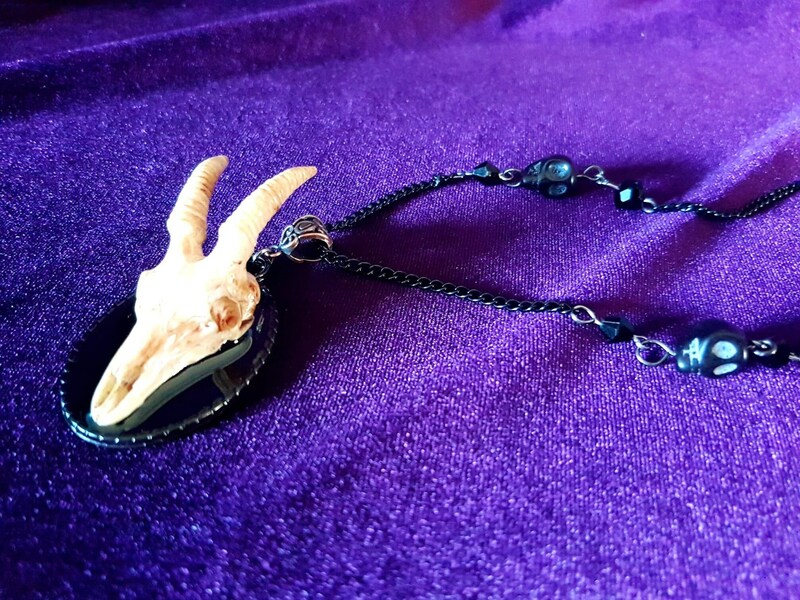 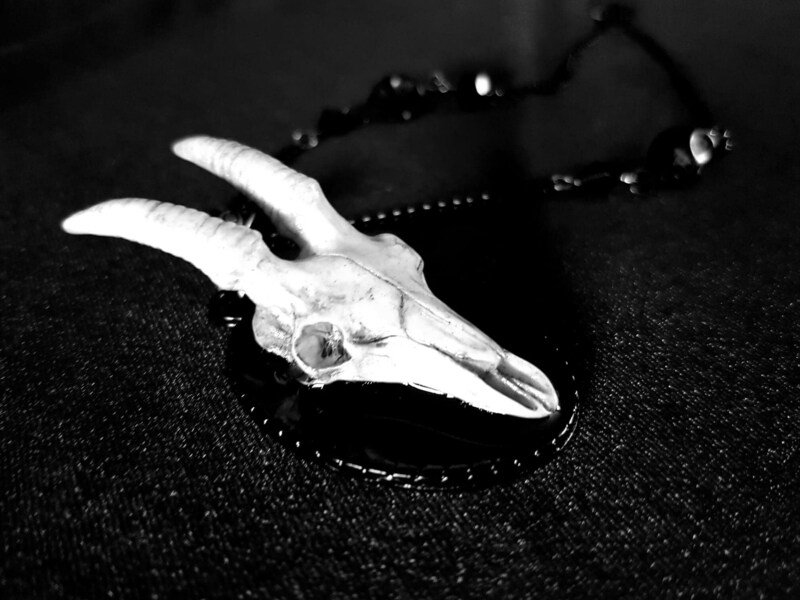 - 2 Black skulls and beads in the chain.